Draco, Harry and Blaise hurried inside and got stuck in the hallway. They were all prepared for the boggarts to come and attack. Suddenly Draco and Blaise heard a scream behind them and turned around. Harry was laying on the floor and had been hit by a spell. Blaise sat down in front of him and felt his pulse, luckily he could feel it. " He&apos;s only stupified" Blaise assured. " He will be okay. We have to hurry"
" I hope Astoria finds him" " Don&apos;t worry she will" Blaise assured. " Now come on we have to get going, mate" They kept going and had their wands at the ready. They heard voices and sounds from the floor above them. Draco directly though of Hermione. When this was over, he told himself to never leave her again. This would be his last mistake he ever did. Suddenly Blaise stopped him. " What is it?" Draco whispered carefully. Afraid they would be heard. " I feel something...we&apos;re not alone down here" They didn&apos;t have much time left to think of that statement when they suddenly saw two girls standing in front of them.
" Ginny?" Blaise said and looked at the redheaded girl.
" 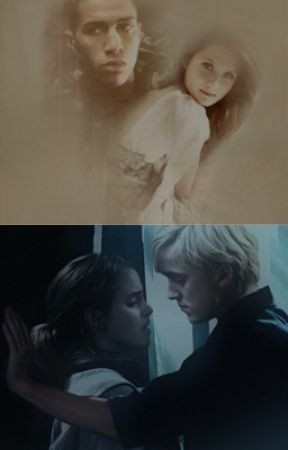 Hermione..." Draco whispered and walked slowly towards the brunette with brown eyes. " Thannk God you&apos;re okay...." but suddenly she laid on the floor and had Draco&apos;s aunt over her and getting tortured. Draco could hear her horrible screams and calling for help. " Not again..." He whispered to himself.
" Draco, it&apos;s a trap!" He heard Blaise yell at him. " It&apos;s the boggart!" But Draco couldn&apos;t move nor speak. The next moment he saw the boggart turn into a broom flying around and out from the hallway. He directly knew it was Blaise who had saved him.
" Thanks mate" " Just don&apos;t scare me like that again" Blaise sighed. They walked out from the hallway and started walk up the stairs, but they didn&apos;t get long, because Blaise stopped. Looking at Ginny being threatned for her life with a wand at her head. 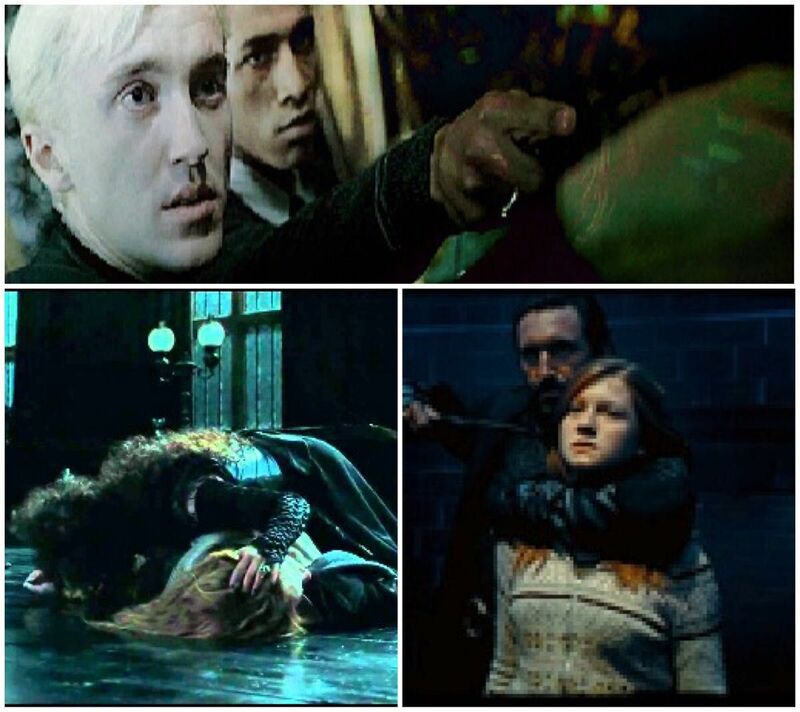 A death eater held her in a steady grip.
" Ginny, no!" Blaise screamed and ran towards her, but Draco held him back.
" It&apos;s a setup" Draco hissed, but Blaise was convinced it wasn&apos;t. It all felt and looked so real. " It can&apos;t be...I mean look at her... She&apos;s suffering" He said with a weak voice and tears was starting to build up behind his eyelashes. But Draco didn&apos;t take any chances.
" Riddukulus!" He yelled and Ginny and the death eater turned into baloon that flew away. Draco saw Blaise&apos;s expression that was both relieved and worried. This meant that the girls was still in danger.